Units are encouraged to report their service projects on the Journey to Excellence website. This helps provide the community an accurate report on the great service and dedication our Scouts are showing throughout the Michigan Crossroads Council. 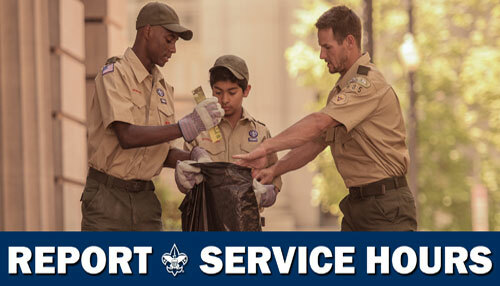 Did you know that your unit can earn points towards the Journey to Excellence program just for logging your units community service hours online? That’s right your unit can earn up to 200 extra points if you log your service hours online. All types of service projects can be entered into this system including the Good Turn for America projects such as the shelter drive, food drive, and blood drive. Units may also enter their service hours for community projects that they took on as a unit. Please log all service hours. Journey to Excellence is the BSA’s council performance recognition program designed to encourage and reward success and measure the performance of our units, districts, and councils. It is meant to encourage excellence in providing a quality program at all levels of the BSA.